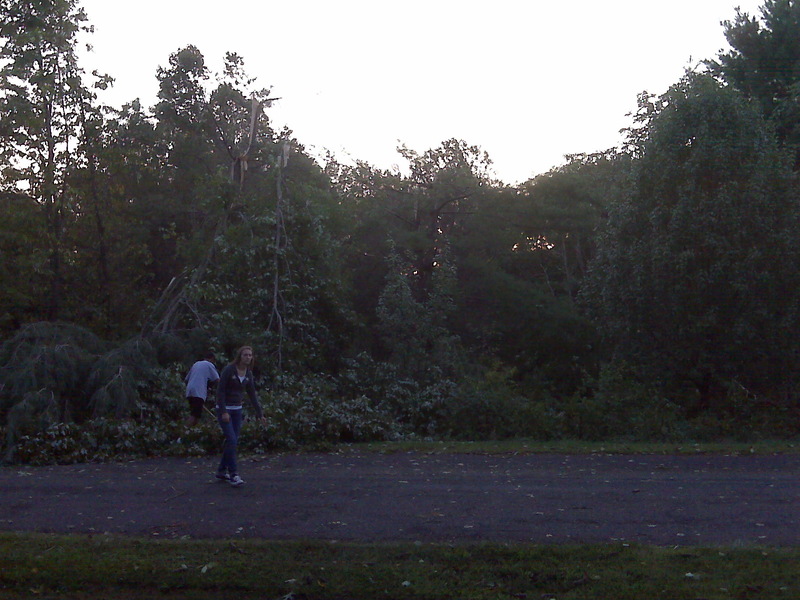 Whatever it was, tornado or microburst, it tore a path through the woods down the block. One of our neighbors had an oak fall on their house. Scary. This entry was posted in Uncategorized on September 28, 2009 by Jon Lowder.